Your privacy is really important to us, and we understand how important it is to you. Our aim is to be as clear and open as possible about what we do and why we do it. Langlands is committed to the online privacy of all its users. This privacy notice aims to give you information on how Langlands Nurseries Limited collects and processes your personal data through the use of this website, including any data you may provide through this website when you sign up to our loyalty scheme or newsletter, purchase a product or service or take part in a competition. 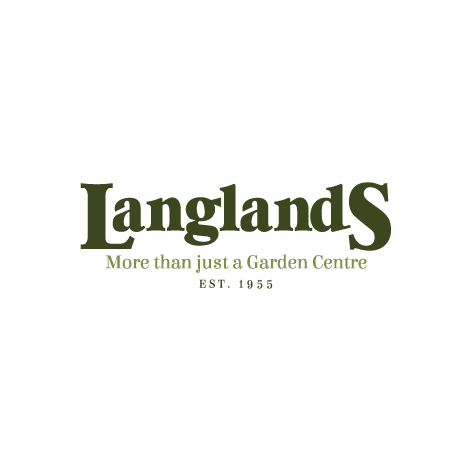 Langlands Nurseries Limited (company number 5159947) is the controller and is responsible for your personal data (referred to as "Company", "we", "us" or "our" in this privacy notice). It is important that the personal data we hold about you is accurate and current. Please keep us informed if your personal data changes. You can change your registration details easily by emailing us at data.privacy@langlandsgardencentre.co.uk. Our main uses of your information are explained below which in general is to process your orders, as well as to help us understand your needs and provide you with a better service. Your account may be used to store information about your previous purchases, personal preferences and shopping lists. Generally, we do not rely on consent as a legal basis for processing your personal data other than in relation to sending direct marketing communications to you via email. You have the right to withdraw your consent to marketing at any time by emailing us at data.privacy@langlandsgardencentre.co.uk. To enable you to partake in a prize draw or competition or complete a survey (a) Identity (b) Contact (c) Profile (d) Useage (e) Marketing and communications (f) Technical Performance of a contract with you Necessary for our legitimate interests (to study how our customers use our products/services and interact with us). We will get your express opt-in consent before we share your personal data with any company outside Langlands Nurseries Limited for marketing purposes. You can ask us or third parties to stop sending you marketing messages at any time by emailing us at data.privacy@langlandsgardencentre.co.uk. At Langlands, information security is very important and we have taken many steps to make sure your shopping experience with us is secure and to protect it from being accidentally lost, used or accessed in an unauthorised way, altered or disclosed. In addition, we limit access to your personal data to those employees, agents, contractors and other third parties who have a business need to know. They will only process your personal data on our instructions and they are subject to a duty of confidentiality. Access to your information is restricted in our stores and offices. Only employees who need the information to perform a specific job are granted access to personally identifiable information. The server that stores this information is kept in a secure environment. We want to make sure we're giving you the information about privacy and security that you want - let us know what you think. If you have any feedback, questions or concerns, please contact us. Request access to your personal data(commonly known as a "data subject access request"). This enables you to receive a copy of the personal data we hold about you and to check that we are lawfully processing it.